We often read articles about a family's reaction to an Alzheimer's diagnosis. Many medical professionals offer sons, daughters, spouses, and others advice on how to cope with the impending loss. But what about the person who is actually diagnosed? How do they process this life-shattering news? How do they handle the fact that their mind may quickly fade away? The life-changing terminal diagnosis of Alzheimer’s is devastating. Being told that you’re eventually going to lose all memory and knowledge of the precious life you had is shocking and heartbreaking. How do you prepare yourself? Unfortunately, there has become a stigma over the word "Alzheimer's." It's natural for an initial thought to be "what will everyone think?" We've seen many public figures react to Alzheimer's in different ways. President Reagan gave a “goodbye” speech to the American public after being diagnosed with Alzheimer’s disease in 1994. He wanted us to remember him as he was. On the other side of this spectrum, actor Gene Wilder concealed the news of his diagnosis until death in 2016. Denial of this diagnosis is the first reaction. Most people seek a second and third opinion. After all, we’re not talking about a toothache. This is a disease that changes everything. Just like grieving over a deceased loved one, panic often sets in after the diagnosis is confirmed and it quickly turns into anger. Realizing that you may become totally dependent can throw you into a deep depression. For family members, it is important to look out for suicidal tendencies and act quickly if there are warning signs. Many people try to bargain by "turning their lives around," as if their actions prompted the disease. Some have begun volunteering, became more spiritual or religious, or started fixing broken relationships. Art has become a therapeutic avenue for others. Some will write their memoirs or compose letters to each member of their family and circle of friends. Others will paint their memories in hopes that the final product will become a trigger when the disease has taken hold. Many patients have found solace in listening to as much music as possible. On a more practical note, you should ensure that all estate-planning matters are taken care of. Consult an elder law attorney to review your will, power of attorney, and any trusts you have in place. 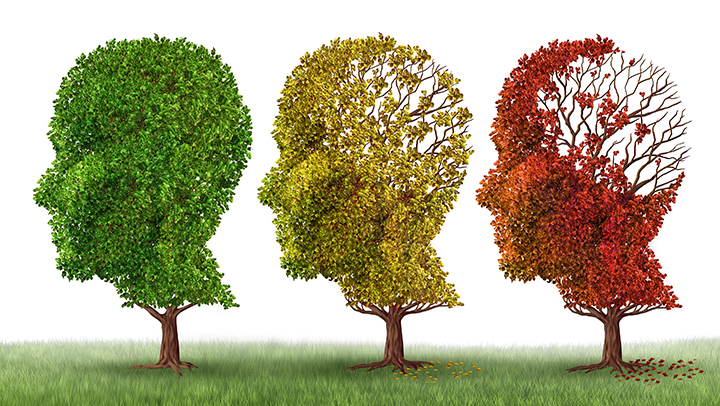 Alzheimer's is a disease that is unlike other terminal illnesses. It takes away memories, identities, and the most basic elements that make us who we are. It is helpful to try and accept it and focus on life. Unfortunately, some people never accept the reality of the disease. But for those that do, living healthy and spending, as much time with friends and family is key.